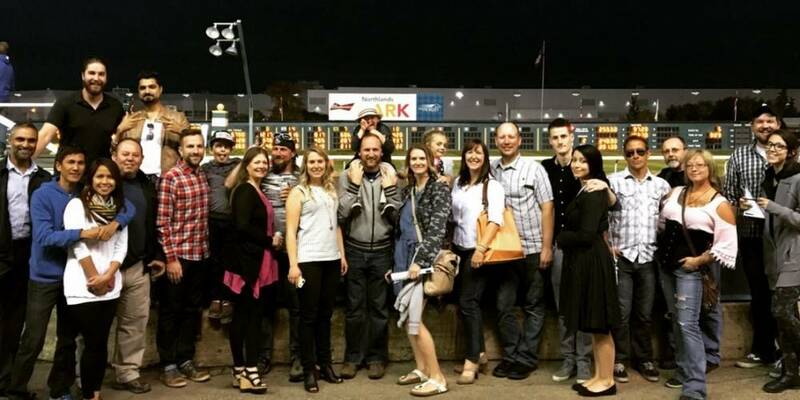 Fifth Annual "A Night at the Races"
Top Shelf’s Fifth Annual "A Night at the Races"
Another successful Top Shelf staff party is complete after last week’s evening celebration at Northlands Park. For the fifth year in a row, Top Shelf staff and friends gathered to watch the horses, eat a great dinner, have a few drinks, and do some friendly betting! Some of our guests were big winners, and others weren’t as successful, but a great time was had by everyone who attended! Since our Top Shelf family is spread out between the office, warehouse, and in different homes every day, it can be quite challenging to get everyone together to celebrate our successes and get to know each other. Each year we try to do at least a few events where all our staff and their families can come together to enjoy some time outside of work.